Few activities alter one’s psychic situation than world travel. There’s some kind of romance associated with packing one’s bags, hugging and kissing loved ones goodbye, and boarding a plane for somewhere, anywhere abroad. A few Villanova students, including me, had the opportunity this summer to do just that. 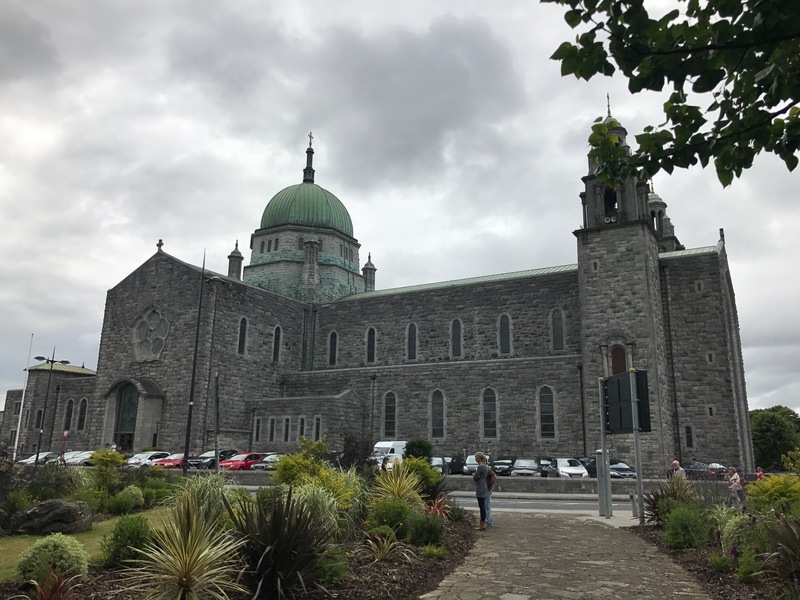 Only, in addition to clothes and other necessities, we found our suitcases teeming with plays, school supplies, and books on the Irish dramatic canon. We took part, of course, in the Abbey Theatre Program arranged by the Center for Irish Studies. 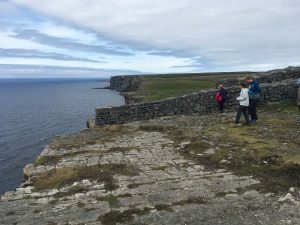 The course itself took place over four weeks (six weeks, if you include all the preparatory work we had the pleasure of doing) and in two Irish cities. We lived in the dorms and studied in the classrooms of Trinity College Dublin; we lived and researched in the facilities of NUI Galway. Most surprising to all, however, we wrote, performed, produced and directed at the Abbey Theatre – the national theatre of Ireland. Before the hurried bustle of the first couple weeks, we started with a couple, jet-lag curing trips to Malahide Castle and Glendalough. Malahide was the seat of the esteemed Talbot family, who owned the property for over 700 years. The property is also the home of a beautiful, sprawling garden and many ghost stories that the tour guides do not hesitate to share. Glendalough (pictured below) is a beautiful valley with two large lakes and was formerly the home of a 6th-century monastery (remnants of which remain today). 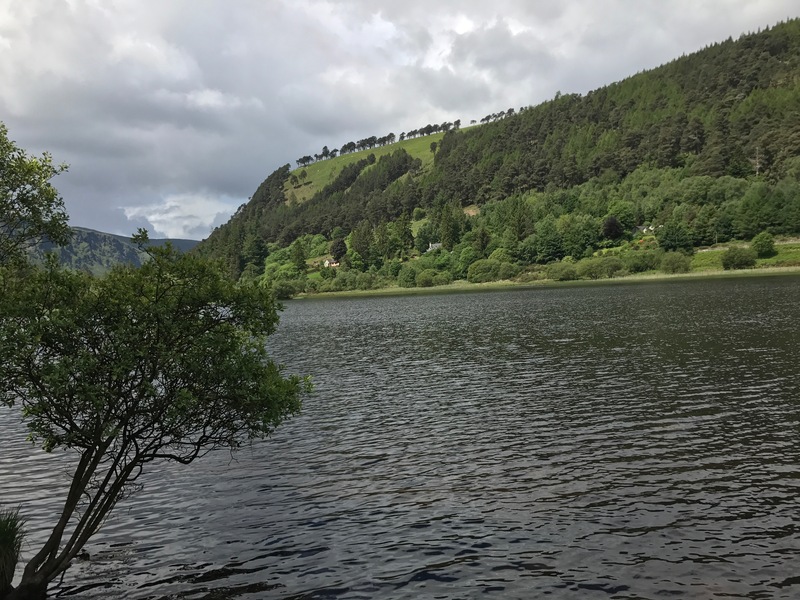 As we walked around Glendalough, and especially after we returned to our housing at Trinity, the class of both graduates and undergraduates really started to socialize and get to know one another. 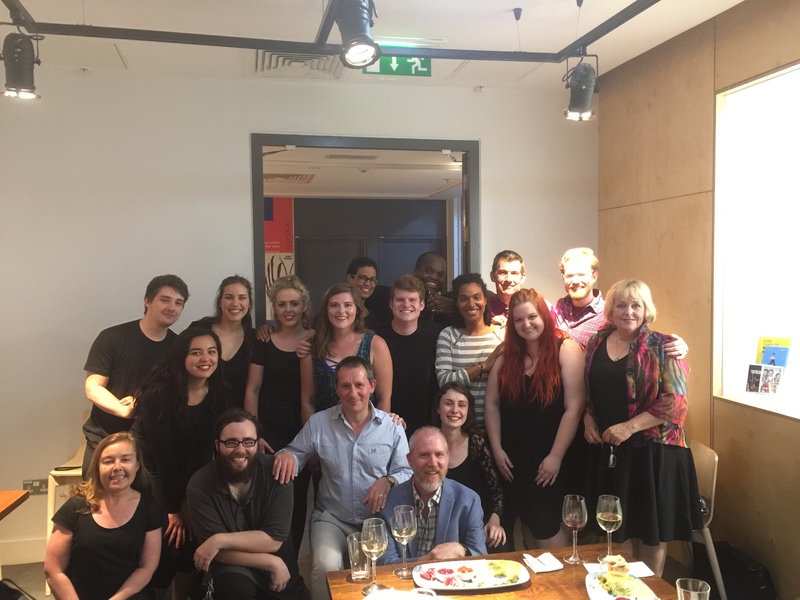 As it so turned out, the Abbey Theatre Program draws more than just students of English; we found students of theology, psychology, Spanish and even economics among the group. 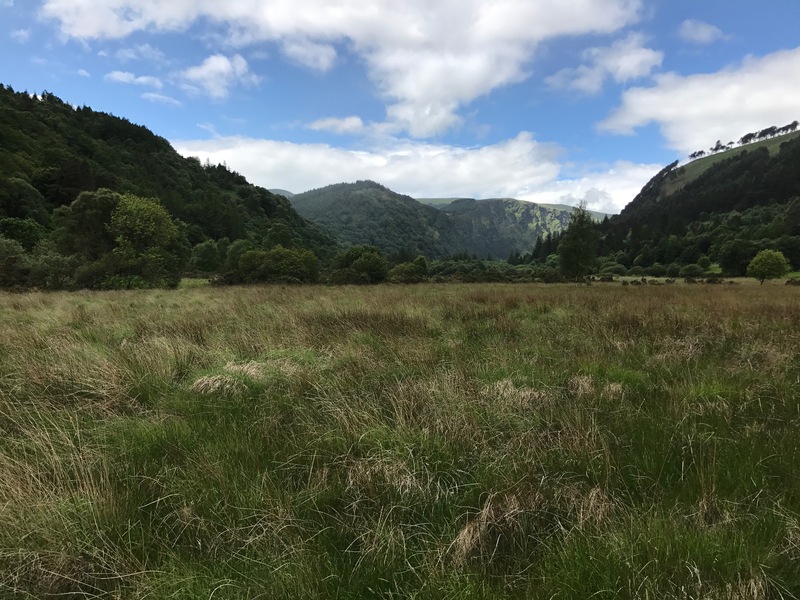 A bonus photo of Glendalough because the place was so beautiful! If every story must really be divided up into exposition, climax, and resolution, the photo above from the reception after “I’m All Wounds” was the climax of the trip for me. To see a group of college students, who had just met weeks before, come together and celebrate the production of something so literary, so insightful, so much fun, has shaped my view on how and why we create artistic works. It would be a real challenge for me to think of a moment in my life when I was more proud about the outcome of a group project than this one. That’s not to say, however, that the journey was over! The graduate students remained in Galway for another two weeks following our production and researched at the Abbey Theatre Digital Archive on the campus of NUI Galway. Galway was a very charming town with frequent street performers and a vibrant night life. We even met up with another group of Villanova students studying there! 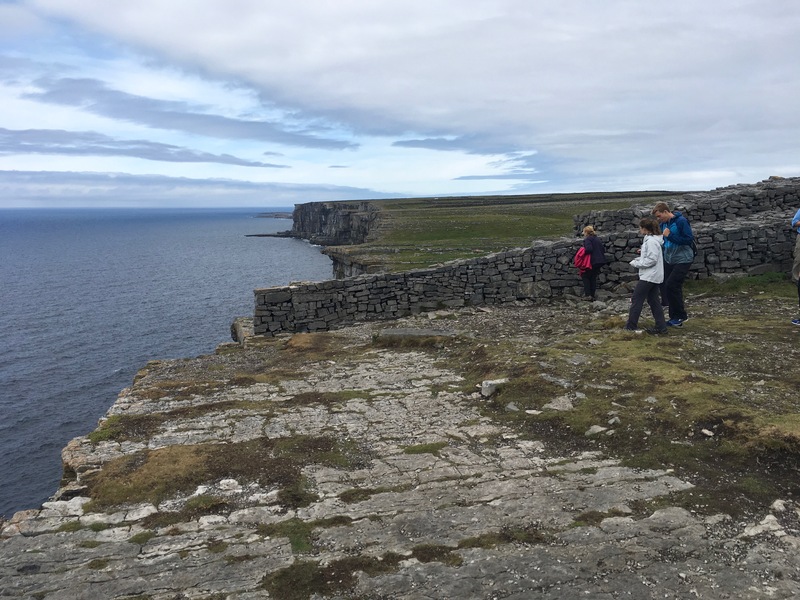 Not that we excellent graduate students shirked our archival responsibilities for even a moment, but I would recommend a trip out to the Aran Islands if you ever find yourself in Galway – Inis Mor is pictured below. The rather sheer coastline of Inis Mor. We also saw a production of “Juno and the Paycock” in Galway. It was a darling show, a darling show. The town itself also has beautiful sights, including the cathedral pictured below. We found ourselves walking past that cathedral frequently before parting ways. A cathedral in Galway that we walked past most days during our time there! In the weeks since the Abbey Summer Studio, I have reflected often on the benefits of the program, and have come to the conclusion that I will be feeling those benefits for years to come. There’s more to the trip than simply studying, producing, and viewing theatre; the trip involves looking to the beautiful country around you to find some inner-inspiration, something you’ve carried forever with you and something that you’ll notice all the more frequently after returning. 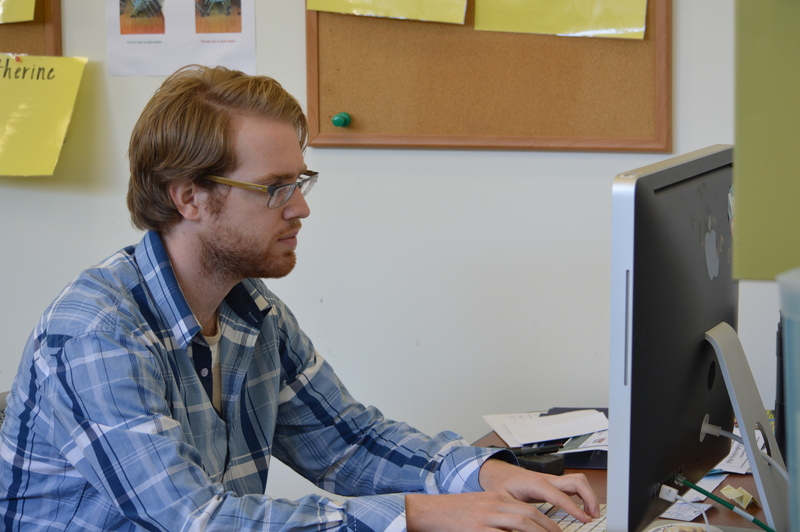 Article by William Repetto, a graduate assistant on the Communications and Marketing Team at the Falvey Memorial Library. 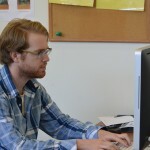 He is currently pursuing an MA in English at Villanova University. Photographs courtesy of William Repetto.